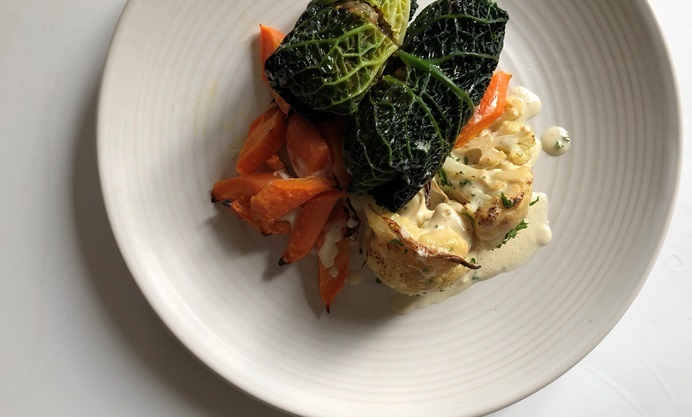 Joey O'Hare serves up rolled and stuffed cabbage leaves, with a delicious filling of chestnuts, cranberries and pistachios – a great vegan main course that is also gluten-free. Joey recommends serving two rolls per person alongside an array of trimmings, so the recipe can be adjusted depending on how many vegan and gluten-free diners you're feeding – be warned, though, it might be better to make more, as non-vegan guests will also find them irresistible! Here is an individual vegan dish that’s perfect for your vegan guest or guests. These cabbage leaves are packed with traditional festive flavours and will go perfectly with all the usual trimmings. 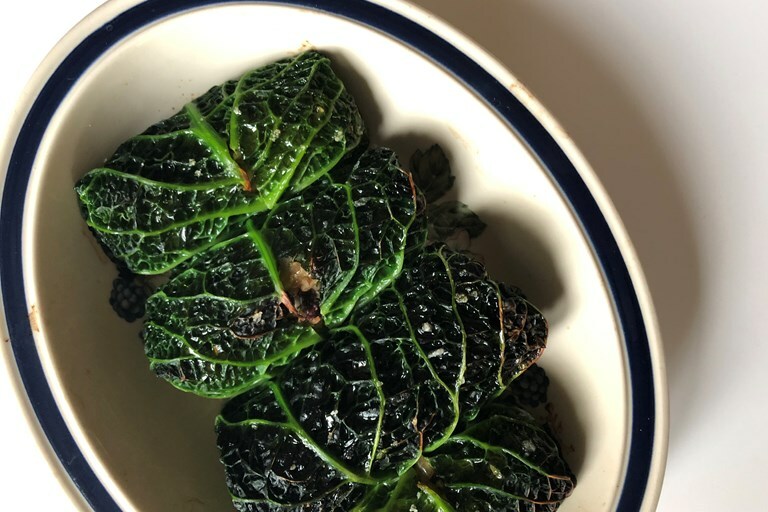 The filled leaves can be prepared up to 12 hours in advance and simply roasted when you are ready to eat; they take a mere 20 minutes in a preheated oven.